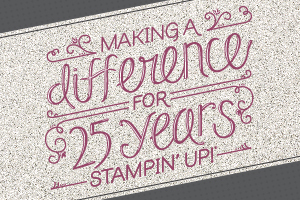 Since they are celebrating their 25th year, Stampin' Up! has a lot of terrific specials this year. I am going to try to give you a quick run down of what's currently available. Of course, first off is Sale-a-bration - our annual special where you can earn products for hosting a party, purchasing merchandise, or joining Stampin' Up! 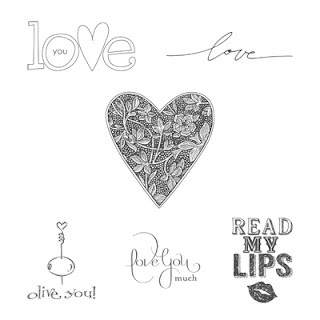 Dates: February 1 - April 30, 2013 Details: During this limited-time offer, you can purchase the exclusive Sent with Love Stamp Set or Sent with Love Designer Series Paper-or bundle them for a special 20 percent discount! I'm Paper Pumpkin . . .I come to your door each month (a fully decked-out creativity carriage). I'll help you to escape your life with some paper fun. I come in a sweet box, but you'll really love what you find on the inside: All the stamps, ink, paper, and accessories to create pinable projects. Create stuff like cards, journals, décor, and more! Get Started: It's so easy to get started. Simply sign up for the program starting Monday, January 14 by visiting www.mypaperpumpkin.com and click Get it. (Be sure to put my name in as your demonstrator when prompted!) Every month a new, surprise project kit arrives at your doorstep. Just think of the anticipation of creating a fun project to pin, show off, and share with your friends and family-every month! The very first Paper Pumpkin will arrive on your doorstep starting in March-if you sign up before March 10. **If I have enough interest in "My Paper Pumpkin", I will be offering a monthly class where you can come with your kit and we can make the projects together! So be sure to let me know if you sign up for My Paper Pumpkin! Here's How you Order: Sign up for your monthly Paper Pumpkin starting Monday, January 14 by visiting www.mypaperpumpkin.com and click Get it. Be sure to put my name in as your demonstrator when prompted. 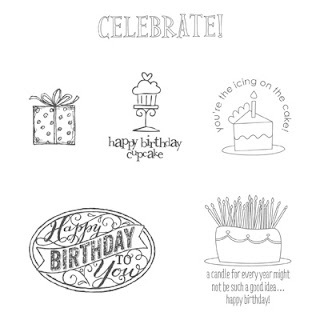 Starting in early March, you can try Paper Pumpkin for one month by visiting the Stampin' Up! online store. A Free Gift in Your Very First Kit: The Welcome Kit is the very first Paper Pumpkin you will receive in your first month of membership. The Welcome Kit includes a free gift-a clear acrylic block! Though not pictured on the carryover page in the Spring Catalog, Champagne Glimmer Paper (Item 127885) from the 2012 holiday catalog is still available to order. So if you have ANY questions about any of the specials, please contact me! You can always order directly by going to my demonstrator website HERE and clicking on the "Shop Now" button at the top right.